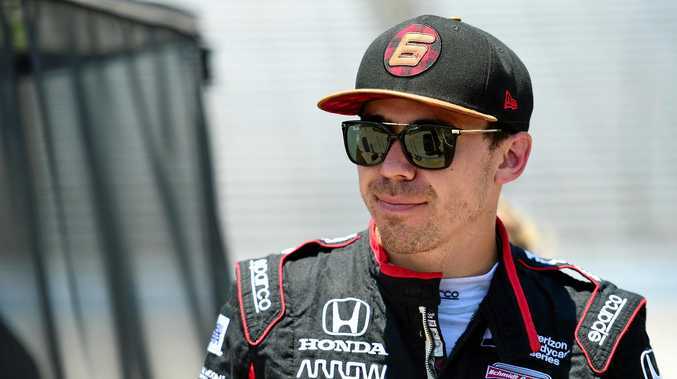 INDYCAR driver Robert Wickens has revealed he is paralysed from the chest down from injuries suffered in an August crash at Pocono Raceway in the US. The 29-year-old Canadian has been updating his rehabilitation progress on social media and posted a video of his "first slide transfer as a paraplegic". It showed him moving from a table to his wheelchair. His videos in the past month show that he is working daily to move his legs again, but Friday's post was the first time he publicly confirmed his paralysis. "I've only been posting videos of the small movement in my legs, but the reality is I am far away from walking on my own," Wickens wrote. "Some people are a bit confused with the severity of my injury, so I wanted let you know the reality of it. I've never worked harder for anything in my life, and I am giving it all I've got to spark those nerves in my legs." Wickens recently left an Indianapolis rehabilitation facility for one in Colorado. The Canadian suffered a thoracic spinal fracture, spinal cord injury, neck fracture, tibia and fibula fractures to both legs, fractures in both hands, fractured right forearm, fractured elbow, four fractured ribs and a pulmonary contusion when he crashed on August 19. Wickens plans to marry fiance Karli Woods next September.